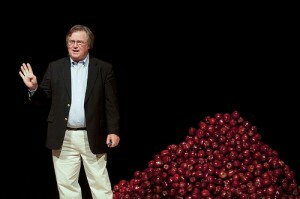 A three-time James-Beard-Award-winning journalist, Barry Estabrook is the author of Pig Tales: An Omnivore’s Quest for Sustainable Meat (described as “beautiful and clear-eyed” by Alice waters) and of Tomatoland: How Modern Industrial Agriculture Destroyed Our Most Alluring Fruit (described as “masterful” by Mark Bittman in the New York Times). He was a contributing editor at Gourmet magazine. His work has also appeared in the New York Times “Dining” section and the New York Times Magazine, Men’s Health, Eating Well, Saveur, Gastronomica, TheAtlantic.com and many other national magazines. 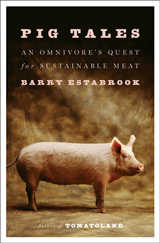 He has been anthologized in The Best American Food Writing 2005, 2007, 2008, 2010, 2011, 2012, and 2014. Youthful stints doing slug labor on a midwestern dairy farm (hot!) and being tossed about on a commercial fishing boat off Nova Scotia (frigid!) taught him that writing about how food is produced is a lot easier than actually producing it. He lives on a 30-acre plot in Vermont where he putters around in a large vegetable garden (a great place for a procrastinating writer), tends a small flock of laying hens, makes maple syrup, and brews hard cider of questionable quality. Estabrook is a popular, throught-provoking speaker who has addressed audiences at schools, colleges, libraries, and businesses on issues related to sustainable agriculture. Venues have included Harvard Law School, Northwestern University, Georgetown University, St. Micheal’s College, Whole Foods Market, Stonyfields Farm, and Birmingham Public Library. He has been interviewed on Fresh Air, All Things Considered, the Bob Edwards Show and numerous other national and local radio and television programs. Contact him at the email address below. We had Barry come to our campus for three days as a special “scholar in residence”. 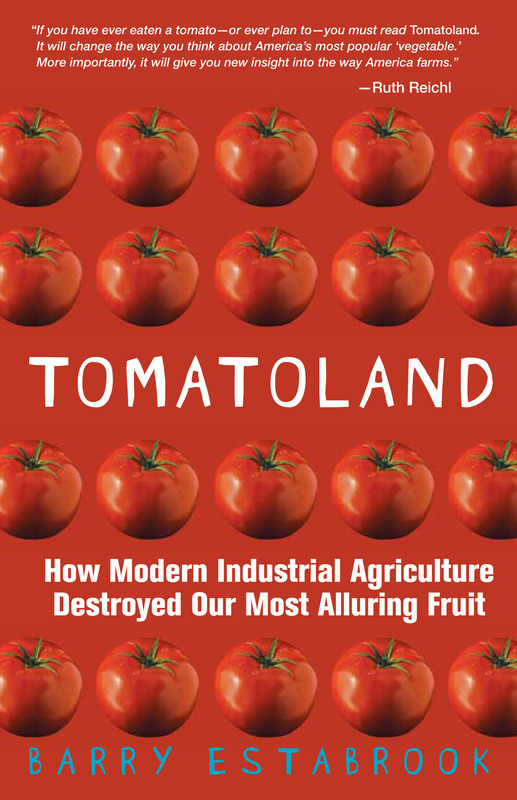 His jam-packed public lecture was a tour de force and especially his revelations about worker conditions in the Florida tomato fields were very eye-opening to many. Barry also visited four different classes on our campus and interacted informally with many of our students and faculty. Barry was very down-to-earth, affable and easy to work with. His visit was a pleasure from beginning to end and we thank him sincerely for coming! December 16, 2015, 7:00 p.m.
Click here for email updates from Barry. We are currently fighting a proposed CAFO in our Marshall County, Central IL area. This hog factory will be located only a few hundred feet from a legend creek. The hog factory will be located in our backyards…..help!! Thanks!